Winners of the National Learning Disabilities Awards came together to attend a networking lunch on 22 July at the House of Lords. The event was hosted by Lord Victor Adebowale, chief executive of the social care enterprise Turning Point and non-executive director on the board of NHS England. The event provided a unique platform to celebrate and reflect upon the enormous success of the recent National Learning Disability Awards. It also gave guests a the opportunity to share best practice and to debate the issues facing the sector. 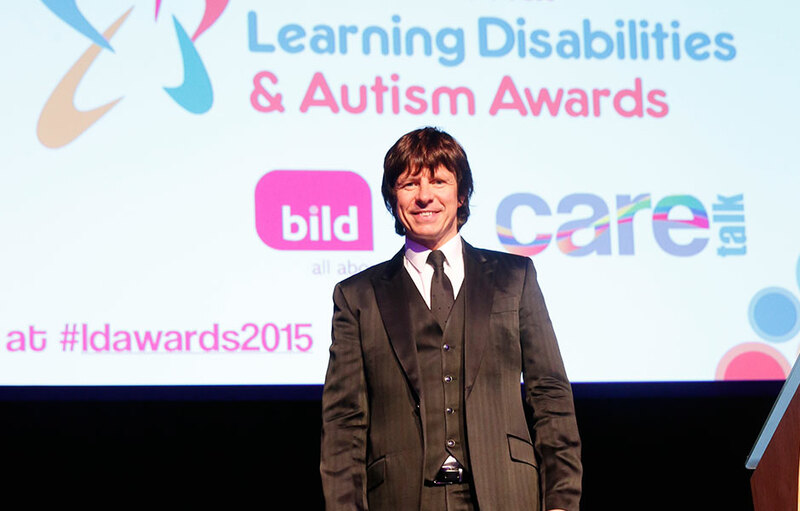 The event was a fitting finale for the inaugural National Learning Disabilities Awards which took place at on Friday 16th May earlier this year. Over 600 people from the learning disabilities and autism sector attended a Day and Evening of Celebration at Edgbaston Stadium, Birmingham, The National Learning Disabilities Show and Awards, hosted by British Institute of Learning Disabilities (BILD) and Care Talk magazine. Show delegates and awards guests represented all areas of the sector, including inspirational people with a learning disability, charities, private care providers, residential and nursing homes and local authority adult social care departments. The one thing these individuals had in common was that they epitomised the unsung heroes of our communities. Without such people quality, person centred support for people with a learning disability would fail. During the day the National Learning Disabilities Show, ‘Valuing People Today’ showcased excellence and innovation in the sector through an exciting speakers’ programme and exhibition. The show also provided a platform for the awards finalists to share their good news stories with delegates and disseminate examples of good practice. In the evening a glittering awards ceremony took place, hosted by This Morning’s Jeff Brazier, celebrating excellence across the sector and paying tribute to those individuals who have demonstrated outstanding excellence within their field of work. Categories represented all areas of the sector, from frontline staff such as support workers and managers to people who have made an impact in other ways through training, accessibility and citizenship. Support for the event included the Department of Health, the Association of Directors of Adult Social Services (ADASS), Mencap, Skills for Care, Social Care Institute for Excellence (SCIE) as well other sector and commercial organisations. Nominations for the 2015 awards will open in September 2014.